Welcome home to Main & Clay apartments in Louisville KY! Louisville's newest urban community offers its residents convenience, comfort, and luxury. With expansive amenities & beautiful new 1 and 2 bedroom apartments, you will find yourself right at home. 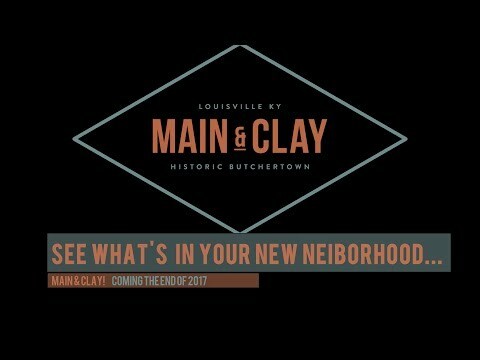 Nestled in the heart of Historic Butchertown, Main & Clay is minutes from Louisville's urban core and NULU neighborhood. With museums, restaurants, bars, specialty shops, arenas, and entertainment venues just steps away. Located in the heart of Butchertown, Main & Clay is minutes from Louisville's urban core and NULU neighborhood. With museums, restaurants, bars, specialty shops, arenas, and entertainment venues all close at hand, Main & Clay provides unique downtown Louisville living in a brand new urban community.